After several refinements, F-999R reached to the stage of maturation. Operation is very simple but its performance is overwhelming. 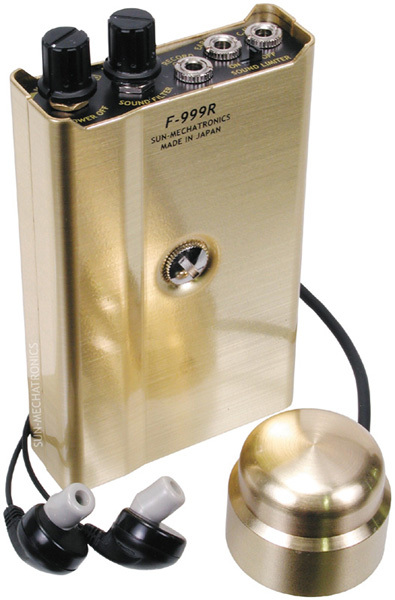 F-999R's quality is accepted by Japanese lawenfocement agency. 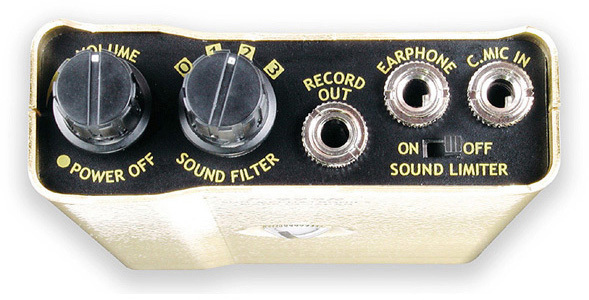 Heavey weight brass contact microphone. This mic has highly sensitive capacitor micrphone insde. Sound Filter is on board. You can select the bandpass you want to listen emphatically. 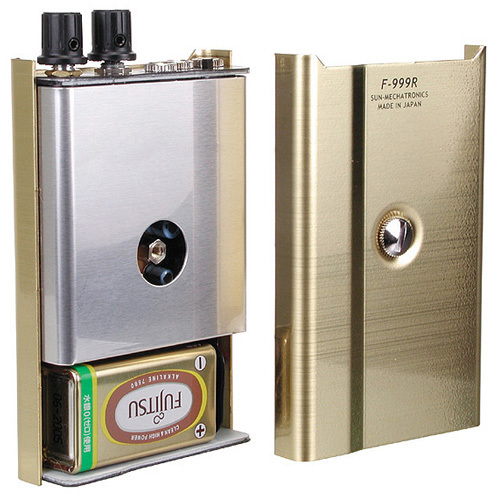 For example, if you select band-3 by selector,F-999R amplifies human voice mainly. Sound Limitter is on board. Sound limitter protect your ears from the damage caused by sudden big sound and noise. F-999R lowers the volume temporarily when a big sound come in. Caution: This is not water proof.Do not scratch the wall with contact microphone.It damages the pin of contact micophone. 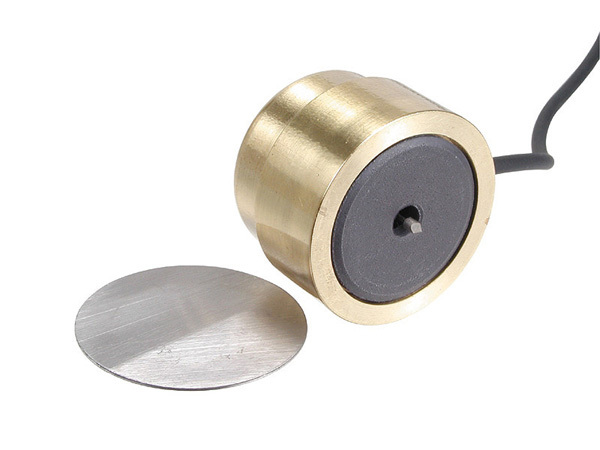 Contact MIC guard plate, MIC extension cord, Contact MIC adhesive tape, Stereo Earphones.